3 months ago BlitzPlus went open-source. A few days ago Blitz3D followed. When I first read about BlitzPlus being made available on GitHub I kind of silently congratulated them for making that decision. To me it wasn’t surprising at all because of what has happened to the indie game industry and hobbyist game making in general for the past few years. The trend is strongly leaning towards mobile platforms – at least for 2D games. On PC you’d better be going with 3D nowadays – unless your 2D game is either one of those more complex genres, or when the touch interface isn’t enough. In other words, BlitzPlus had become somewhat obsolete (being 2D only and desktop only); it simply doesn’t answer to the modern game development demand. So in my opinion, it made perfect sense to go open-source since not them (The Blitz Research Lab), or anyone else would be making any real money out of it – especially now that they have two competing products of their own (i.e. BlitzMax and Monkey). Originally, BlitzPlus was released after Blitz3D. I never understood why they wanted to do that – why develop a new product when they could’ve just brought the new features (native UI commands) into the existing product, Blitz3D. It would’ve strengthened the brand and not confused new customers. Not just that, but then they introduced BlitzMax whose main selling points were cross-plaform support (for the desktop) and language syntax enhancements. These changes actually do warrant a new product, though, because all of the breaking changes. From developer’s point of view, however, cross-platform support is a nightmare to establish, improve, and maintain; you’ll have to provide the base functionality for all supported platforms now, which will essentially multiply development time by an order of magnitude. This also explains why BlitzMax launched without 3D. They simply didn’t have time to do it, especially when the community expectations were “at least Blitz3D level of functionality”. Thankfully, BlitzMax is rather modular. To this day it has been extended with countless libraries developed by the community. Much more than a one-man company can produce on its own. There was even a community driven 3D module in development. Sadly, it was shut down before release because Mark Sibly announced the “official 3D module” with some teaser screens and info. I believe there could’ve even been a small demo. Well… that official 3D module never came out. I don’t know what happened, but I guess developing a full featured 3D engine that works on all supported platforms the same way took so much time that Mark lost interest before it was finished. Just kidding. A more reasonable theory is that back then the mobile revolution was happening, thanks to iPhone, and Mark saw the huge market potential. So maybe the point of interest just shifted. As BlitzMax already had the functionality that met the mobile game development needs (which is to create 2D games as easily as possible), why not utilize that. So BlitzMax now needed to support new platforms. But if you want to run games on a phone it will place some limits to the engine. A system that was designed to execute on a desktop was too heavy for a phone. This is when Mark first hinted about “bmax2” on his blog. The new system would have to be “lighter” which in itself would already require lots of code rewrite. So why not bring yet more syntax enhancements and make it a new product. Monkey was born. Monkey targets 12 platforms, including Ouya and PSM. That’s pretty impressive. The only way to make this happen in a reasonable way is to translate a program written in the Monkey language (basically a BlitzBasic derivative) into some well-known other language and compile that for the target platform. Based on what Mark has written on his blog from 2011 onwards there has been quite some technical challenges to get everything to work on such a broad set of platforms. Fighting environment related bugs rather than having fun implementing new features into your product can get really tiresome after a while. And I think that explains why the development of Monkey has been slow. It’s still plagued by a large amount of little bugs. These are nasty because they seem so minor in the users’ eyes and if not fixed in a timely manner they will begin to lose interest and faith into the product’s quality. In addition, new potential customers first scan the forum for some general information, then find about the endless list of these small unfixed things, get a negative first impression, and move on in search of alternatives. All these products. All these years. Yet there is no 3D functionality apart from Blitz3D. And B3D is still based on the ancient DirectX7. Even mobile games nowadays heavily utilize 3D because the sharp improvement in hardware performance in modern phones and tablets. What’s more, is that the explosion of mobile market has caught the interest of “more-than-just-indie” level game development companies. These shops have professional 3D artists, animators, programmers, composers and designers and release some really nice looking 3D titles for mobile devices. Mobile games are no longer all about 2D. And if Blitz Research Labs want to be offering a “serious” development tools that target these platforms, they’ll need a 3D engine and fast! Unity is already taking over as the “de facto” environment to develop 3D games for the mobile. You’re already late! There is a roadmap for Monkey that hints about “mojo3d”. It’s still not out, and reading that topic gave me the impression that it’s not going to be anytime soon. As I said earlier, the expectations are “minimum B3D level of functionality”, but this time for all target platforms. Mark, haven’t you learned anything? You really want to try and make it available on all 12 target platforms, including HTML5?! Even Unity doesn’t do anything like that (there’s a browser plug-in for rendering instead). This is a MASSIVE job to do; you can’t handle it alone. Not within a reasonable time anyway. At the same time your competitors are rocking away with their 30+ member development teams. Technology soars up faster than ever before. If you do this the engine will be outdated right from the get-go. Alas, there is no ETA on ‘next up’ Monkey features. The sad truth is, Monkey sales are not good and it’s likely I will have to find some kind of ‘supplementary’ income soon – not easy for a guy who’s never held down a real job! Well, since I was 18 anyway. This is not likely to improve productivity, but I do plan on at least continuing to provide updates/fixes and improvements to current Monkey, pretty much as I have been doing recently. But ‘Monkey 2’ (as it was evolving into) is right now on hold. It’s possible that Monkey 2 was supposed to be a successor for Blitz3D and/or BlitzMax. But since that is now out of the picture and Monkey is going to have only maintenance fixes from now on, I wouldn’t expect new products anytime soon. Which means that Blitz is losing the last momentum it had and will undoubtedly be overshadowed by the competing products. Soon after that statement, Mark wrote a follow-up in his blog. The article was titled “A slightly depressing update…” where he elaborates about the low Monkey sales. BlitzPlus was announced open-source 2 days later. He agrees that marketing could be better, but in my opinion fails to see some important points that all, in my opinion, play part in the problem. Anyway… this post was depressing also to read, and it has caused a lot of stir and concerns all over Monkey and BlitzBasic forums. I have always thought Mark’s writing style is a bit too aggressive, but this is not how you do PR. Even though you had to get it off your chest, you shoul’ve picked your words better. And now Blitz3D went open-source too. For BlitzPlus it made sense, but I really don’t get the reasoning behind this move. Yes, it’s old (15 years, huh? ), but it’s still *the 3D dev tool* in their whole product line. All you had to do was to update its engine pipeline to use DirectX 11, and perhaps add more commands that affect the entities’ appearance. Maybe physics too. Make it compatible with the more modern Windows versions. Or maybe MacOS and Linux. I know that you couldn’t apply the syntax enhancements that BlitzMax and Monkey have, but quite frankly, you didn’t have to. People would still use it. You don’t have to (and shouldn’t) compete with your own products. Monkey and Blitz3D serve different needs; one is cross-platform and the other is specialized in desktop (it doesn’t matter if it had a simpler syntax). The problem is that the Blitz Research Lab has too many products. Instead of adding to existing products they develop a new one. And each time the new product is expected to also contain everything than the previous product did. In addition, they also keep introducing these breaking changes to either libraries or language syntax. Even though it may seem like a good idea to release something completely new every now and then (and get paid for of the purchase) the fact is that you have a flaw in the business model. Blitz products have always been buy-once-get-lifetime-updates-for-free. This can only take you so far. You basically have to develop completely new products regularly to get (partly the same) users to pay more. And there comes a point where the amount of work is simply too much (especially for one man) to sustain this pattern. Too little return for too much work. Now, look at how some other companies do it… companies like Microsoft, Adobe, Autodesk etc. They too publish a new version of their most popular software every 1-3 years. But they always build on top of the previous version. If you take a moment and look how Visual Studio, for example, has evolved since 2003… it improves each time, but is still definitely based on the previous version. Moreover C# and VB.NET have both evolved as languages too, adding new features and syntax. But the developers still view C# as a single language and Visual Studio as a single product (or brand). As a result, the products are more mature, too. Even though I think Monkey is a great product, it simply fails at marketing. If you’re a programmer, I completely understand that there might not be any interest in marketing. The Blitz Research Lab is a really small company. I’ve got the impression that Mark Sibly is completely self-employed, and I don’t think there’s anyone else to help with the “boring” things such as writing documentation, managing websites, or doing accounting. it would help a tremendous amount if you had a sales guy, or even another developer (who could handle the editor and website, for example). But the problem appears to be that they can’t afford to hire anyone. It’s a vicious circle that feeds itself: you can’t do everything needed → products suffer → sales suffer → starts over. It’ll generate frustration, create stress, lead to burnout, lose of interest etc. I think that BlitzPlus and BlitzMax were mistakes. Mark shoul’ve just developed Blitz3D to have their features (while still targeting multiple desktop platforms). But the mobile revolution blinded him. He took a big risk with Monkey and it didn’t turn out as well as expected. While the new language features such as classes with constructors, and even polymorphism do sound good on paper the fact is that at that point why would I not choose C++ instead (especially when you lose your sweetest carrot i.e. 3D). One might argue that BlitzBasic as a language would then be outdated. But that’s fine because the game runtime and easiness to use it were the things that mattered most. Blitz3D had its target audience. But not anymore, and only because its tech is too old. While Monkey supporting mobile platforms is indeed a really nice thing, the problem is that those platforms already have official SDKs that everyone uses; If you’re a newbie game developer who wants to create his first iPhone game the first googling will not lead to Monkey website. It will lead to the SDK download and developer community sites. Also, you won’t find a way to solve your coding problems in Monkey but with the “more-adopted” way instead. I don’t know how Mark will overcome this, but I think making Blitz3D open-source without having a replacing product already available, was made in a hurry and without thinking. I don’t think Monkey has any chance at competing with mobile game development tools (2D or 3D) anymore, but I don’t know if introducing yet another product will be the desperately needed medicine either 🙁 All I can say is: Mark, get a job to stabilize the income, take a time to think about what you want to do with the BlitzBasic brand and products. Put Monkey on Steam if you don’t want to handle marketing on your own. Can’t believe it’s been a year already as I vividly remember writing the ASM 2009 raport. This year’s Assembly demo party was, similarly to last year, 4 days in length, but this time I actually slept better so overall it was even cooler :). Every year it feels like gaming is taking more major part in the party. Besides lots of people there are playing and enjoying the lightning fast party network, there are also seminars and career opportunities related to game industry. Every Finnish university that offers courses for game development are strongly visible at the party booths. I myself attended an interesting seminar of XNA and Windows Phone 7 game development. We had a group ordering for the CoolBasic community, which once again, gave us a geat opportunity to get known with each other also in real life in addition to good old forum posting. Having pizza, playing games, and discussing together was just splendid again. Below is a group picture taken outside the Arena; we had to look against the sun, and that’s the reson to grins and wet eyes. Last year I presented details about CoolBasic V3, and this year I had presentation about CoolBasic Classic and Cool Developer (the code editor). This presentation had lots of info that was revealed for the first time in public! This time we actually went to some place more quiet than the Arena, so hopefully people would hear what I had to say more clearly. The mass of people followed me to the dark and shady parking hall for some demoing from my laptop. Needless to say, having the presentation in such a place felt a bit akward, so maybe I just book a room with a video projector next time :). 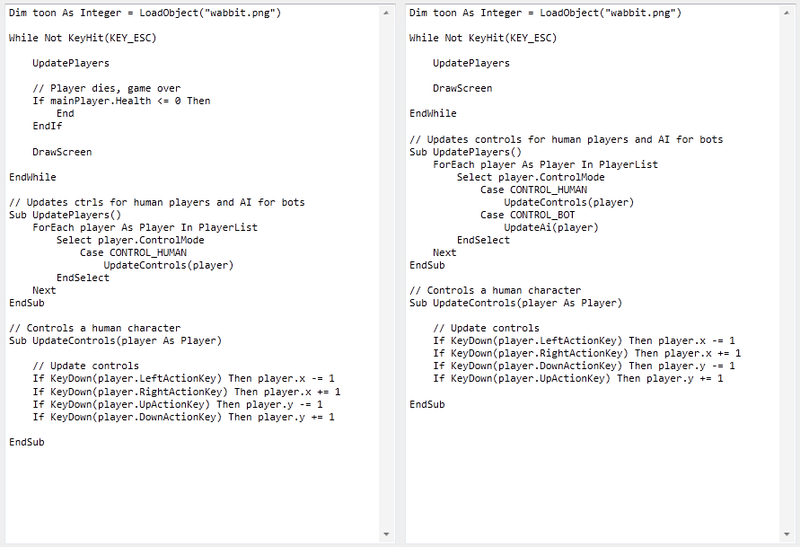 Two major topics were without a doubt the game engine and the editor, and as it’s now basically public, I will post official overviews of them shortly in this blog. I planned to write some code and do some HC development for CoolBasic Classic at the party, but due to constant competitions and other events on the big screen (forcing everyone to stop whatever they’re doing and close their monitors), I got interrupted all the time. Oh well, it’s a demo party after all – gaming and coding can be done in small doses, but in the end of the day, I achieved close to nothing of productive work. Good party! I learned just recently that one of our beloved forum moderators, Bagard, is no longer with us. Bagard was nowhere to be found since last January; he didn’t answer to any emails nor private messages, and he disappeared from IRC. I feared for the worst, and we finally got a forum post confirmation (which judged by the tone of it, I believe strongly, isn’t a troll) about his condition from an anonymous friend of Bagard. Even though this may come “late”, I’m deeply sorry. 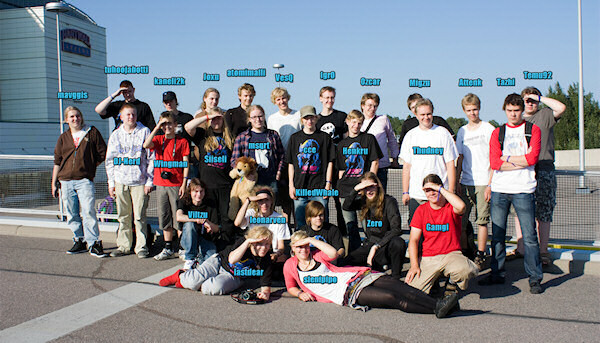 Bagard attended the first CoolBasic summer cabin meeting back in 2009, and all of us who were there, I’m sure, will remember him as a great person. CoolBasic Classic DevTeam is up! Yeah! 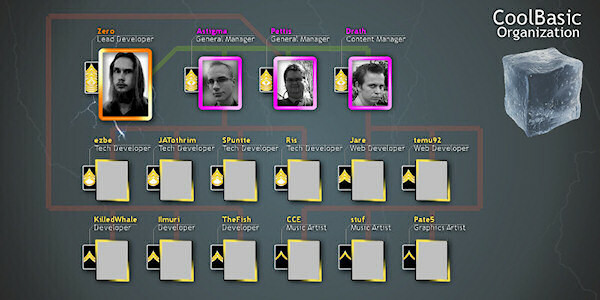 Over 2 months in the making, all necessary arrangements are finally done to bring the development team up and running. During this period I’ve been documenting, and documenting, and.. umm.. documenting some more. Less time coding, I know, but it’s better to have well thought-out plans before we start implementing anything. The biggest time-sink has been writing down most of my ideas for CoolBasic Classic so that every member of the DevTeam is aware of and understands them. For now, I think there’s about 200 pages of text if printed. The management has decided to let the newly selected members to have some time reading the important contents from the hidden forum and from the document storage before assigning the first tasks to everyone. We’ll be having our first welcome meeting soon, too. I was happy to see both technical and design-related discussion about various topics within the same evening I promoted the members. I look forward to have rich brainstorming for the few future-coming weeks, too. I and the managers interviewed all applicants. These sessions were about 45 to 50 minutes long discussions where the candidates were tested against their applications, and their motivation, skills and suitability were evaluated. Those chosen, I believe have true interest in developing this remake of the current, oldish CoolBasic, called CoolBasic Classic. Generally speaking, all interviews were pulled off during one week. There were 4 to 7 interviews per day, and they took place after normal business hours. It was exhausting for me to tailor the questions and the frame for each interview separately (in addition to executing the actual interviews), but I think we did a very good job at it. Having chosen managers beforehand definitely helped, and I’ve had support from them in many aspects how to organize the team efficiently – among other things, we now have an SVN in the works. Now that the launch is behind, I can continue my work on the CoolBasic Classic compiler. It’s top priority because we cannot really start with the CoolVES engine until we have some byte code to feed in. Soon there will be various other “projects” launching in parallel, including code editor, internal DevTeam web services and experimental code for CoolVES. In a nutshell, all team members (apart from music artists) should soon have something to work on. Also, we have code quality checks, regular development meetings and branching. Once the compiler is at a certain state, I’ll start writing its technical documentation (internal) along with a public byte code documentation for CoolVES. Yay, I so love documenting *cough*. 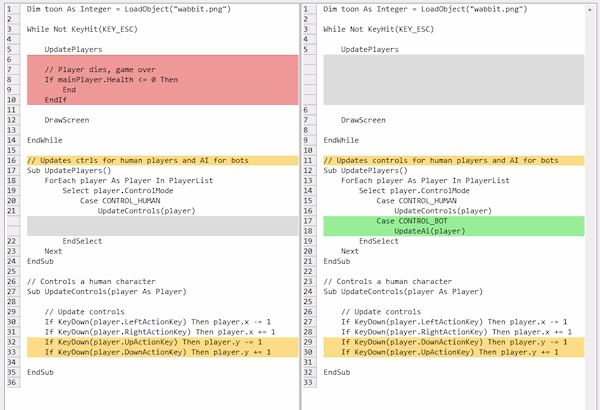 Right now I’m working on function overload resolution and optional parameter fill-in. When that is completed, only statement-specific validators remain for Pass#2. And when Pass#2 is finished, it’s time to implement the actual byte code synthesis (at that point, I will start specifying its exact command set). The compiler is already lexing and parsing all language features. So the world has now entered a new decade. Let’s summarize what happened in 2009, and also peek into the future a bit. For me, the year 2009 was pretty solid all the way. I developed CoolBasic V3 compiler, and managed to finish it. Well, nothing is perfect the first time you do it, so I’m still going to have to rewrite parts of it in order to improve performance in certain situations. However, as I got this idea of complete rewrite of the current CoolBasic, V3 will have to wait. There are number of good reasons why it’s smart to finish CoolBasic Classic before continuing V3 development. Being such a gigantic project with a whole lot of things that can ruin it all, CoolBasic V3 will definately need a development team. The contrast between current CoolBasic and V3 would simply be too much for the current community to handle, making it very hard to establish a competent DevTeam. CoolBasic Classic is a step to that direction, and it gives me an opportunity to test the idea of a small (yet fully organized) development team as well as some of those technical solutions already implemented in the new V3 compiler. CoolBasic Classic should provide a smooth step to V3’s direction, but it’s still going to be mainly procedural language. With CoolBasic Classic I hope we can increase the size of user base, resulting us better chance to find willing and competent people to develop CoolBasic V3 – when it’s time. The last quarter of 2009 went on me planning this CoolBasic Classic DevTeam thingy as well as writing the Classic compiler. I must say time has wings and has flung by. It’s almost as if it just was autumn. I spend several hours a day working on CoolBasic Classic and its DevTeam launch, but due to big plans I need to study a few areas of interest regarding a few technologies I’m going to utilize in this project. It’s too early to tell publicly what those would be, but if all goes as planned 2010 will be a very interesting year for CoolBasic community. We’re definitely going to launch this year, and CoolBasic Classic will also be available fully in English! As a side-note, the Finnish community has grown vivid after the announcement, and there’s a lot of excitement in the air. I’m very happy to see an increase in the forum’s activity. So DevTeam application period has now closed which means I’ll start studying those applications and then assemble the team. I was wondering if 31 days was too long a period to accept web form applications, but they came in pretty evenly throughout entire December (with slight front-load, though). I received 29 applications in total which I think is quite good considering how strict and demanding the requirements were. All vacancies were fulfilled, including the superior layer. 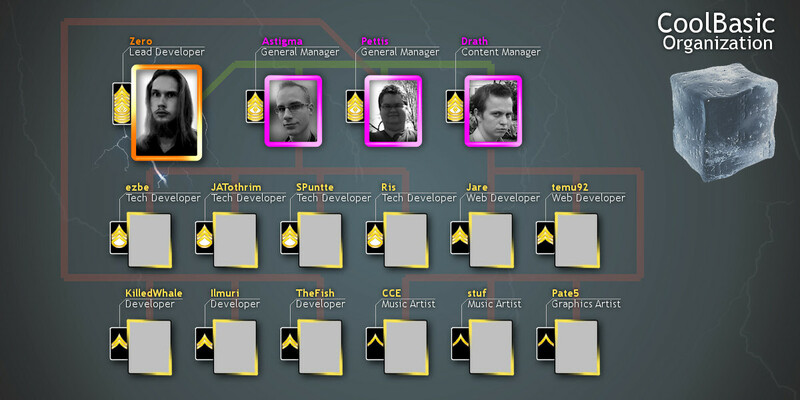 The organization chart shown in the previous blog entry, will be changing a bit, but its reviewed version will be made available not until the team has been finalized. All in all, I think we’re going to have a solid team consisting of different areas of competences – even at a professional level. That being said, there will be interviews, to be held soon enough, based on which I’ll make final decisions about the composition of the DevTeam. DevTeam website has already been set up, necessary documents have been written (and will be available to DevTeam members through internal document service website), initial assignments have been formalized, and the forum now has additional hidden sub forums the normal users cannot see. I’ve spent countless of hours preparing the DevTeam launch, and the material they’ll have to read in the beginning, may feel a bit overwhelming. There are quite a few topics I’m going to discuss with the DevTeam, and as things get decided, I’ll be newsing about them in this blog. Even with 15 people plus me, it’s still going to take months until we can launch CoolBasic Classic. Yeah, it’s THAT big of a project.